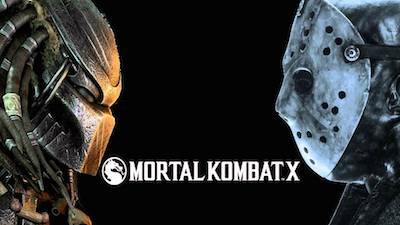 As a follow up to announcing the Mortal Kombat™ X Kombat Pack playable character, Jason Voorhees, today, Warner Bros. Interactive Entertainment confirmed the additional playable characters that will be included in the Kombat Pack: the ultimate hunter Predator from the films of the same name as well as Klassic Mortal Kombat™ Kombatants Tremor and Tanya. In the UK, the Kombat Pack is included in the Mortal Kombat™ X Premium Edition for£74.99 on PSN, £74.99 on XBL and £59.99 on Steam, with a pre-order discount available now. The Kombat Pack will also be available for purchase separately for £24.99 on PSN, XBL, Steam and with selected retailers. Starting April 14, 2015, when Mortal Kombat™ X launches worldwide, fans who purchase the Kombat Pack will receive the Samurai Pack containing three new character skins: Ronin Kenshi, Samurai Shinnok and Jingu Kitana, as well as an accompanying skin pack with each playable character. In addition, those who own the pack will gain early access to the above listed content before it is available for sale individually.